Situated within 5 minutes walk to the Beach. Saturday changeover – out of main season, flexible start and finish days are possible. 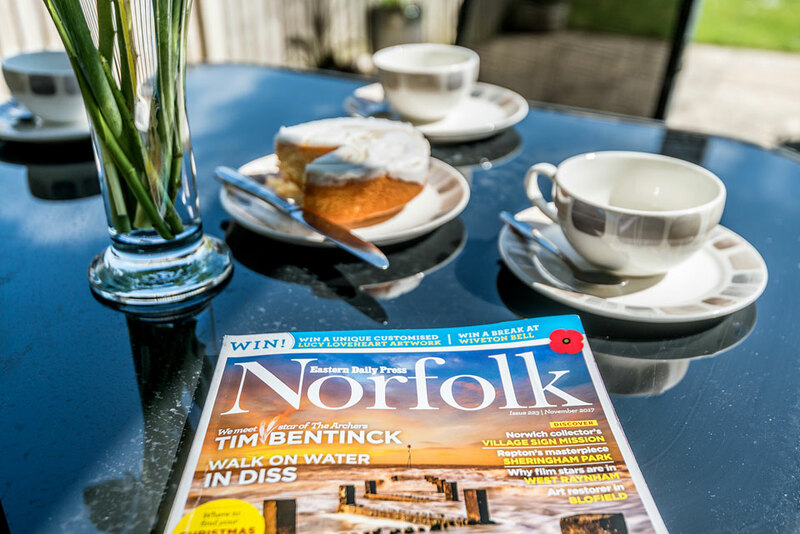 A large Victorian hall entrance terrace, standing in an elegant row, in the heart of Overstrand Forsythia house provides luxury accommodation for larger families or groups. 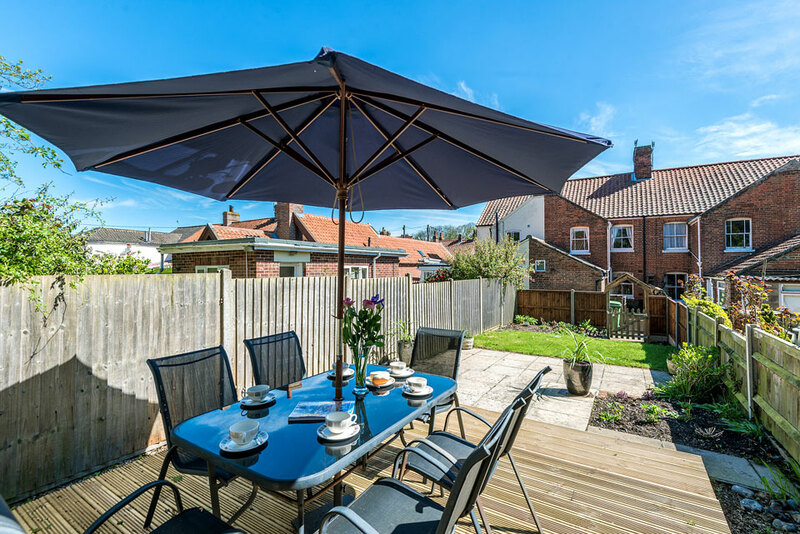 Conveniently located with the attractive water gardens opposite and a mere four minutes walk from the beach this is a splendid example of premier holiday accommodation. Forsythia House has been sympathetically restored whilst retaining its unique period features, such as the fine sash windows, and furnished to a very high standard. The living room boasts not only a working open coal fireplace for those chillier evenings but also an plaster ceiling rose & picture rail – all of which lends itself well to the overall feel of period elegance. Tastefully furnished with two comfy, plump sofas it also provides modern entertainment in the form of a Digital television and DVD Player. Tastefully decorated the separate dining room with its 6 seater table can also function as a second living room with its feature fireplace, complete with glossy black stone heath and additional sofa. Leading off from this is the large galley-style kitchen featuring high quality fitted wooden units together with oven, Hob, microwave, fridge, freeze & dishwasher. The stone flooring is in the traditional Norfolk pammented style. A small utility room has the handy washer/dryer and, in turn, connects to the stylish family sized bathroom – resplendent with Romanesque style tiling reminiscent of sandstone. The bathroom is fully fitted with a combination shower/bath, wash basin and WC. 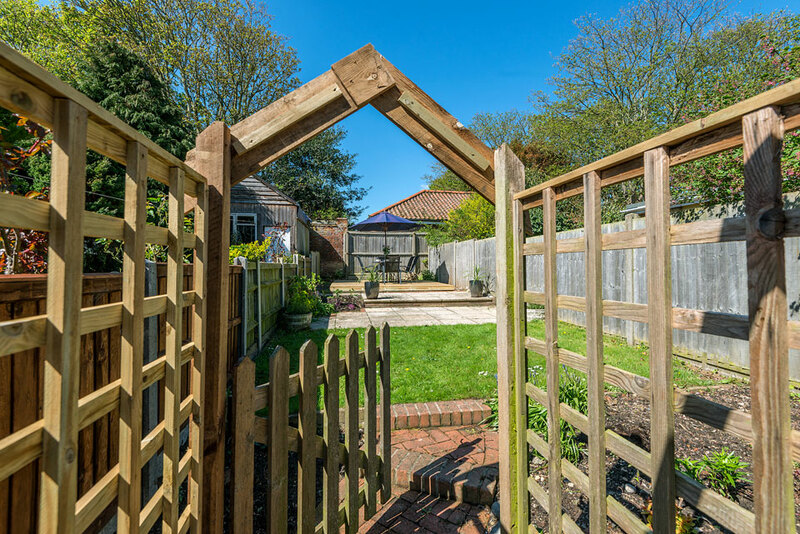 At the back of the house is a lovely mature garden, bisected by a quiet resident’s pathway, which is easily big enough to make use of the BBQ equipment and garden furniture provided. Sleeping 5 people in comfort and style Forsythia House has 3 bedrooms – the largest of which holds a substantial King size bed, attractive oak furniture and has the advantage of en-suite shower, toilet & wash-basin; all mirroring the colour palette of the downstairs bathroom. Connecting to the master bedroom is the smallest bedroom equipped with a single bed. The final bedroom features two lovely and unusual ‘sleigh-beds’ – these generous and comfy beds are complemented by the additional pine furniture and original fireplaces. Parking is roadside no permits or restrictions, Rectory cottage, Beach Retreat. Swallow cottages and Hollybrook all have off road parking.